Denise Rosario is the founding executive director of the Coalition for Hispanic Family Services, a community-based organization serving over 3000 Latino children and families in North Brooklyn and Queens since 1990. Ms. Rosario has been a visionary and a risk taker in creating programs for Latino families developing services that include foster care, mental health, HIV/AIDS support and prevention, fathering and parent development, as well as after school and youth development. 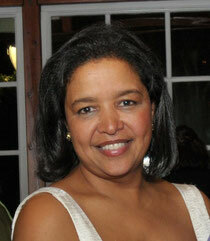 She has over 30 years’ experience in mental health services to children and families of color in urban communities. She has served as a consultant to non-profit organizations in the development of needs assessments, supervision, training, cultural competence and program development. Ms. Rosario is a member of the NYC Children’s Services (ACS) Advisory Board and a public panel member of the ACS Accountability Review Panel. She served as chair of the Bushwick Agenda for Children Tomorrow (ACT) from 2000 to 2006. Ms. Rosario has served on the National Advisory Committee of the Robert Wood Johnson Community Health Leadership Program and the NYC Department of Health and Mental Hygiene Advisory Board. She has served on numerous other committees and task forces including the Minority Resource Committee of the National Institute of Mental Health and the Cultural Competence Resource Committee of the National Technical Assistance Center for Children’s Mental Health. Born and raised in El Barrio (East Harlem), New York, Ms. Rosario is proud to be a graduate of the NYC public school system. She received her Bachelor of Science degree in 1980 and her Master of Social Work degree in 1981 from New York University School of Social Work. As a wife and mother of two boys - a seventeen year old and a thirteen year old and two adult step-sons, Ms. Rosario juggles her personal life with her professional career on a daily basis and attempts to do her best at both, recognizing the importance of family and commitment to community. Ms. Rosario is a recipient of the 1996 Robert Wood Johnson Community Health Leadership Award, the 1997 WCBS-TV Fulfilling the Dream Award, the 1998 New York Women’s Foundation Neighborhood Women Leadership Award, the El Diario 1999 Women of the Year Award, and the 2002 Lady Deborah Moody Founders Award from the Office of the President of the Borough of Brooklyn. In 2011 she received the Neighborhood Investor Award from the Neighborhood Technical Assistance Clinic in Brooklyn, NY. We are a registered 501 (c3) not-for profit agency.